The Oscar nominee opens up about the fears and rewards of playing one of history's greatest queer characters. For an actor, Prior Walter might be one of the most daunting characters ever written. 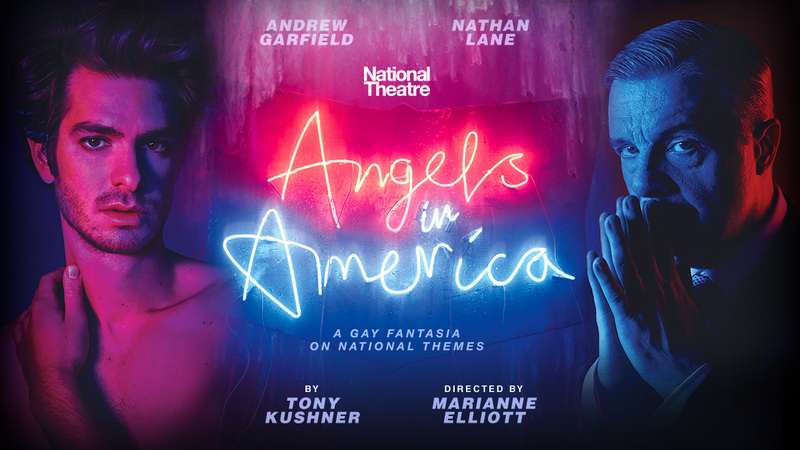 He’s the consummately tormented, AIDS-afflicted gay man at the center of Angels in America, a 1980s-set, two-part, seven-plus-hour play that covers political, spiritual, sexual, medical, and metaphysical ground while swirling around the plights of its lead. 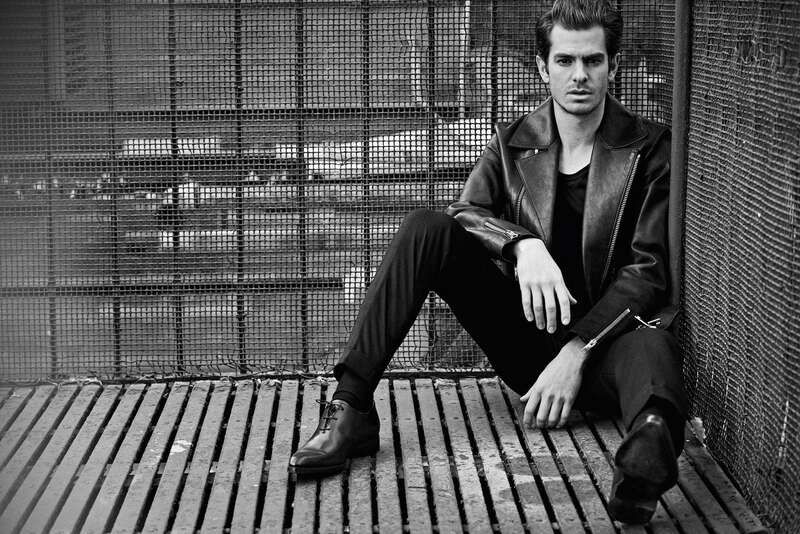 Andrew Garfield, who played Prior in last summer’s National Theatre production of Angels, and reprises the role on Broadway this spring, was shaken by the task. His first exposure to Kushner’s opus was the 2003 HBO miniseries adaptation, starring Meryl Streep and Al Pacino, and directed by Mike Nichols. Garfield was studying at London’s Central School of Speech and Drama at the time. That memory prompted Garfield to immediately accept the part when asked by director Marianne Elliott and Kushner, whom he’d met while playing Biff in Broadway’s 2012 run of Death of a Salesman (also directed by Nichols). But then Garfield read the material. Unlike Prior, Garfield may not be literally burdened by the heavens — enlisted as a prophet by a hermaphroditic angel as he desperately clings to life — but he does have the look and aura of a man who’s both hopeful and feeling the world’s weight. Between the U.K. run (which ended last August) and the Broadway revival (which opens in previews February 23), he’s let his beard grow in a bit; his beanie, puffy coat, and skinny jeans add to his air of a millennial Moses. His speech and demeanor support the persona: He seems wide-minded, humbled by the universe, and philosophical to a fault. And despite all the theatrical demands of playing one of the most iconic queer characters in history, what plagued the Oscar-, BAFTA-, Golden Globe-, and Tony-nominated actor most was whether or not he was inherently qualified. Since 1991, when Millennium Approaches, the first part of Angels, made its stage debut and went on to win a Pulitzer, a Tony for Best Play, and an embarrassment of additional honors, Kushner has seen dozens of actors play Prior across the world. 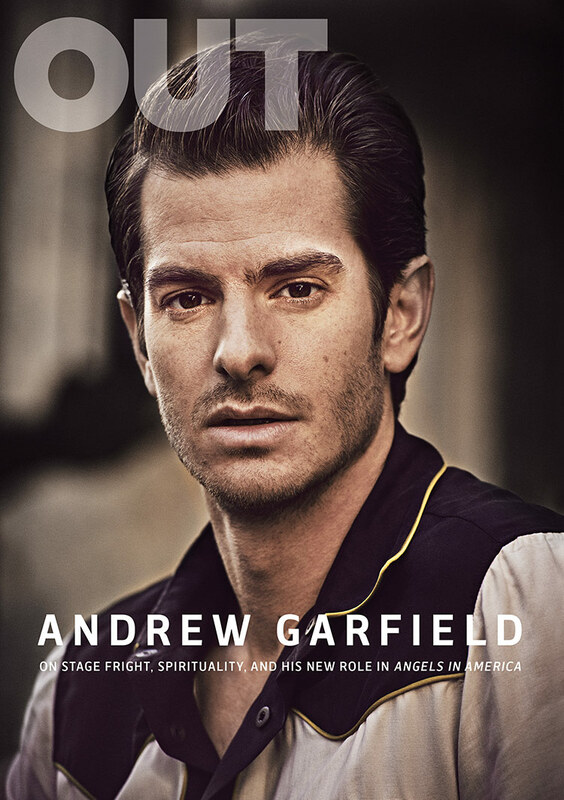 He doesn’t like to compare the performances, but he admired Garfield’s willingness to be sacrificed, as it were, and he says there’s a darkness in the actor’s interpretation that’s “a new color” for the playwright. And despite our current era of heightened identity politics, wherein straight and cis actors come under fire for stepping into queer parts, Kushner was never dismayed. Younger viewers may best know Garfield as a snarky web-slinger in The Amazing Spider-Man, or a jilted entrepreneur in The Social Network, but of the actor’s roles, the one that might be closest to his own personality is Desmond Doss, the weapon-averse pacifist he portrayed in 2016’s Hacksaw Ridge, which earned him a Best Actor Oscar nod. When we speak, Garfield conveys a startling wealth of compassion, as if he’s chipped away at his ego in fear that it might minimize his experience of the world. The actor, whom Kushner calls “a spiritual explorer,” repeatedly cites a slice of Mayan folklore, and while its name escapes him, its message about the hope for human decency doesn’t. Garfield’s words can sound earnest and heady, but they’re all part of his effusive manifesto about wanting to put good into the world. The 34-year-old, who grew up in Surrey, a prosperous county that borders London, says that particular desire didn’t blossom until he found acting, after an existential crisis in adolescence. In Garfield’s favorite scene in Angels, which takes place in part two, Perestroika, Prior’s estranged lover, Louis (played by James McArdle), and the ghost of Ethel Rosenberg (Susan Brown) say the Kaddish, a Jewish prayer of mourning, over Cohn’s dead body. Rosenberg, another real-life figure, was wrongfully executed for treason on Cohn’s corrupt watch, while Louis, a bewildered idealist, hates everything Cohn stood for. As such, the scene is one of brutally tough forgiveness — of sympathy for the closeted gay devil. “It kills me every time,” says Garfield, who was raised by a Jewish father, and is familiar with the power and gravity of the prayer. Additionally, Cohn was once Donald Trump’s lawyer, and that’s just a tiny part of what makes this masterful critique of Reagan-Era horrors so stirringly relevant today. And yet, in an extension of his profession of love for that Kaddish scene, Garfield finds himself grappling with his unyielding empathy for the human condition — a topic of conversation he feels is crucial right now, what with, as he calls it, “the mass mob mentality and indiscriminate casting of stones” perpetuated by social media (which he doesn’t use). It’s hard times for anyone with faith in the restoration of decency, or, seen another way, in its long-awaited rise to the surface.